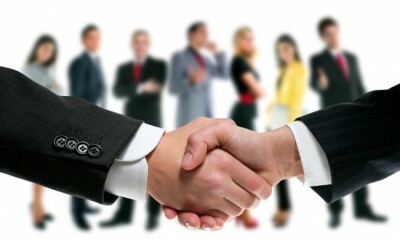 Forming a bond between other business owners is essential in succeeding in the corporate market. When you have a personal relationship with other professionals, they will be more likely to do favors or assist with an issue or problem. Other business owners may promote another entrepreneur’s products and services in exchange for another favor. Several business membership organizations have luncheons, vacations and other events that are designed to help members bond and speak about what they offer to the public (services and/or products). Gaining leads is the backbone of any business. No matter how beautiful a website is or how technology-savvy a business owner might be, it will not allow them to gain quality leads. Leads are necessary to open up new career options and networking possibilities. For example, a construction company that is having multiple complaints from their employees about wages might get the membership director of an union to act as a mediator. In return, the construction company might assist the membership director of the union by advertising their company for free. The first step to finding new networking opportunities is to make a list of people you would like to network with. All of these companies/people should be specific and in order on who can help out with business purposes. The next step is to find out how to meet up with these people. Thanks to social media, it is easy to find out a person’s likes and dislikes; find out where they like to hang out or which organizations they belong to. There are many places to find networking organizations such as the industry trade associations and chambers of commerce. Many of these associations require a monthly and/or yearly membership fee. There are some websites online that has reviews on business organizations and the level of assistance they can provide their members. In many cases, a lot of organizations will target a particular group or industry; minority women, single men, home-based businesses, etc. Small organizations are great for forming close bonds, and larger organizations has more perks. One of the best benefits of joining a membership organization is the increase of social status. It is very easy for a business owner to raise their profile by surrounding themselves with others who have power and influence over the public. Attending social events is very essential for connecting with other powerful people who can be supportive and reliable. These same people can prove to be helpful in the future. John Doe is a small business owner and entrepreneur coach of 10 years who has provided networking advice to those looking to expand their brand. Visit Bristol Who’s Who to review a New York based networking forum for professionals.